BMR would like to say thank you to all of our customers on this all-American holiday by having a 15% OFFThanksgiving Sale on most BMR productsfrom now until midnight on Cyber Monday.Viking shock and strut kits will also receive 10% off. Free Shipping and for domestic orders (lower 48 states only). Same day shipping on most orders!!! Parts are in stock and ready to ship! Sale applies to both red items and black hammertone items! Oversize charge ($10) applies to K-members. Unfortunately, the following items only get 5% OFF on this sale: 1st and 2nd gen torque arm suspensions and 3rd gen coil-over conversion kits. No discounts on packages….just order each part individually to receive your discount (up to 10% off package price). Happy Thanksgiving from everyone at BMR!! BMR would like to say thank you to all of our customers on this family-oriented holiday by having a 15% OFF Holiday Sale on most BMR products until January 2nd at midnight. Viking shock and strut kits will also receive 10% off. Free Shipping for domestic orders (lower 48 states only). Same day shipping on most orders!!! Parts are in stock and ready to ship! Sale applies to both red items and black hammertone items! Oversize charge ($10) applies to K-members. Product can be ordered at the sale price from any of our authorized distributors and dealers. Unfortunately, the following items only get 5% OFF on this sale : 1st and 2nd gen F-body torque arm suspensions, and 3rd gen coil-over conversion kits. Merry Christmas to you and your family from everyone at BMR!! 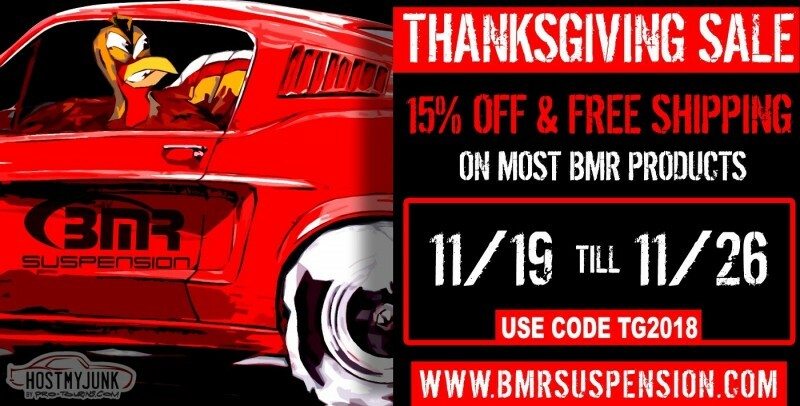 BMR would like to say thank you to all of our customers on this all-American holiday by having a 15% OFF Thanksgiving Sale on most BMR products from now until midnight on Cyber Monday. Viking shock and strut kits will also receive 10% off. 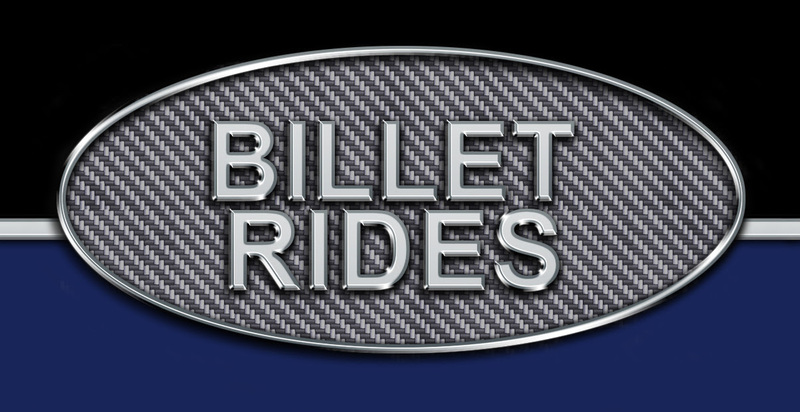 Product can be ordered at the sale price from any of our participating distributors and dealers. Unfortunately, the following items only get 5% OFF on this sale : 1st and 2nd gen torque arm suspensions, and 3rd gen coil-over conversion kits.